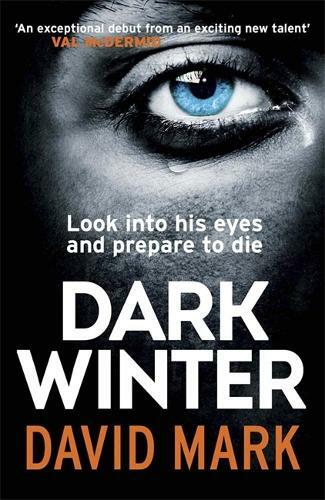 David Mark, author of the DS McAvoy novels, spent many years as a journalist. He looks back at one terrifying case that influences his dark, disturbing thrillers – and remembers taking tea with a killer. It’s more than 15 years since I read that line but it remains stuck in my head. I’d glimpsed it as I left the office, scanning a document written by an American attorney about the most horrific case he had ever covered. Here, now, I can remember the details without needing my notes. It was that kind of case. It harked back quarter of a century and began an ocean away in Travis County, Texas. Two men: both young Mormon missionaries had been invited to dinner at the trailer home of a wayward parishioner. He was a big man with temper issues. He liked guns. He worked in a taxidermy shop. He wanted them to help him reconnect with the church that, he felt, had abandoned him. The men were never seen again. Skin and blood were found upon a circular saw that Kleasen, the only suspect in the case, was an expert with. A nametag with a bullet hole in it was found near his trailer. Within months, he’d been found guilty of murder and sentenced to death. He was also standing in the kitchen of a nice terraced house in Barton-upon-Humber, pouring boiling water into a floral kettle and asking me whether I took milk, sugar or lemon. I should explain. Back before I started writing the DS McAvoy crime novels, I was a journalist. I worked for several newspapers and agencies but for a good chunk of my career I worked in the Hull office of the Yorkshire Post. Barton was my patch. I had half decent police contacts and drank in the sort of pubs where people heard rumours about the locals, and were happy to become indiscreet if somebody else was buying the Stella. That was in late 1999. A few months later, I heard the name again. An American man in his sixties had been arrested by Humberside Police for stockpiling an arsenal of illegal weaponry at his home. Over the course of the next couple of days I, and a handful of other hacks, uncovered the truth about the man who called himself Dr Kleasen, and whom the locals called Odd Bob. He’d come to Britain in the early Nineties to marry a policeman’s widow who had befriended him through a pen- pal scheme. He told lies about his past. Told anybody who would listen about his degrees and his work as a bodyguard and trained killer. Wore his war medals with pride. Joined a gun club and frightened the life out of its members with his fits of rage. Lied on his firearms forms and got his hands on enough guns to stage a small war. So said one of the members of the gun club. It was they who unravelled his web of lies. Tired of his boasting, one of the members emailed the American authorities asking for a list of recipients of the Congressional Medal of Honour. Kleasen was not on the list. But the request did set off some warning flags with the American authorities. Soon the story started coming out. He let me in; this huge, grey-haired, bespectacled mountain of a man. A man who had killed two men and who prosecutors called ‘evil’ and whom they had spent years wondering about the whereabouts of. And he was making me tea. He went upstairs to get a business card for me. That was when the realisation hit. Nobody knew where I was. He was a lot bigger than me. And he was suspected to have killed many more men than his two victims. I made a wise decision, and left. The next time I saw Odd Bob he was in the dock at Grimsby Crown Court. He suddenly required a wheelchair. He said he had a weak heart. He was dressed like an old man. A month previously he had been straight-backed and daunting. Over the next year, American prosecutors started proceedings to bring him back to America. He had only ever been released due to an improper search warrant. There were no doubts as to his guilt. Only Britain’s refusal to extradite to countries with the death penalty stopped him being flown back to the US. I spoke to his old defence counsel and those who knew the ferocious young man who had opened fire in a hospital in a fit of temper. They told me that in some Mormon communities, his name had been used to frighten naughty children. He was their boogeyman. He was the devil incarnate. Kleasen died suddenly, of a heart attack, before he could be extradited. I felt a similar compulsion the more I learn about the man who poured my tea and who lost his temper before I could drink it. I'm a novelist these days. I write books about a good man named McAvoy catching killers in the historic streets of Hull. The critics praise the authenticity, and the terrifying nature of the villains. Where do I come up with such monsters, ask interviewers. Some of it’s imagination. But if I were to create a true figure of darkness, the creation would start with Bob Kleasen’s eyes. 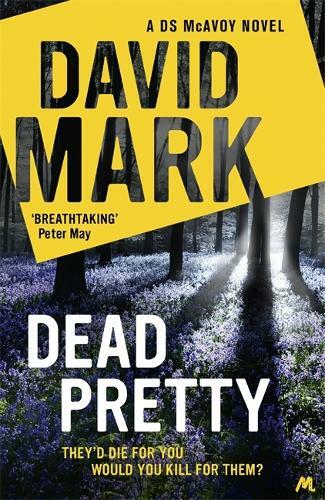 David Mark's latest novel Dead Pretty, the fifth in the DS McAvoy series, is out in hardback now. 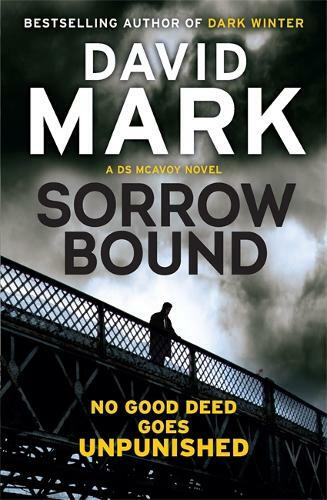 No good deed goes unpunished - the third thriller in the DS McAvoy series. 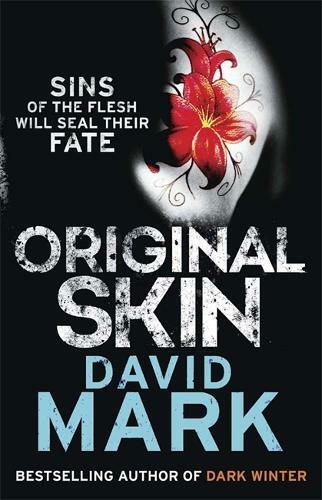 Sins of the flesh will seal their fate - the follow up to the bestselling Dark Winter. 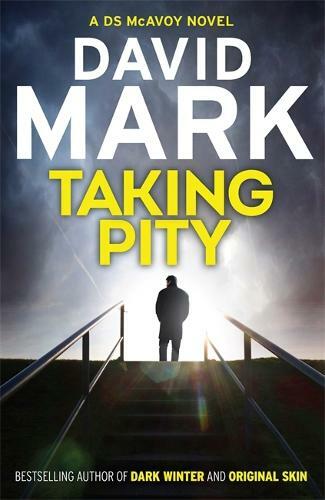 Book four in the Hull-based crime series, Taking Pity takes detectives McAvoy, Ray and Pharaoh on their most dangerous collision course to date.